Did you have any graduations in the family recently? If so, I have a new word art pack available for download at MyMemories.com. 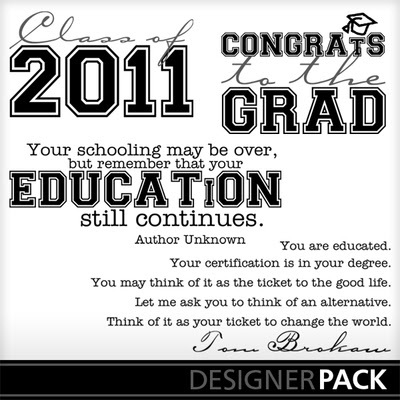 Check out this and all my other word art packs available through MyMemories,Scrapbook Boutique and PrintMaster. While these designs are in available in several formats for use with any digital software program, if you are looking for an easy and affordable digital scrapbooking software, you should definitely give My Memories Suite a look. It is great for digital scrapbookers of all levels or even traditional scrapbookers that are looking to supplement their paper crafting in order to complete more layouts and/or be able to craft even when away from home and supplies. My Memories Suite is currently the #1 rated digital scrapbooking software on the market. Read more about all the great features of My Memories Suite here. My Memories Suite already has a great price, but I have a $10.00 OFF coupon code for you to try it for yourself! Simply copy and paste the code STMMMS74998 at checkout to receive you discount.